Cheetah Keyboard has every feature you want a keyboard to have. 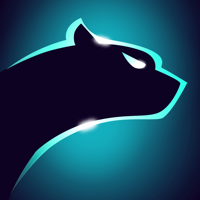 With beautiful and colorful themes, Cheetah Keyboard makes your iPhone, iPad or iPod touch a distinctive one from others. With AI prediction and AR-Emoji, Cheetah Keyboard helps you type smarter and funnier. It can recognize what words you want and give accurate word suggestions. 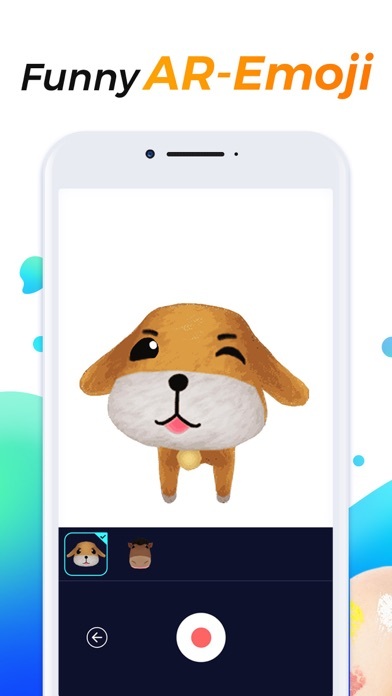 Cheetah Keyboard's auto correction and completion corrects the words you input wrong automatically, making your typing much faster.The new feature of the AR-Emoticons give you a realistic 3D virtual dynamic emoticons. Cheetah Keyboard allows you to customize your own themes, e.g. changing backgrounds and wallpapers, changing fonts and the color of keypads. 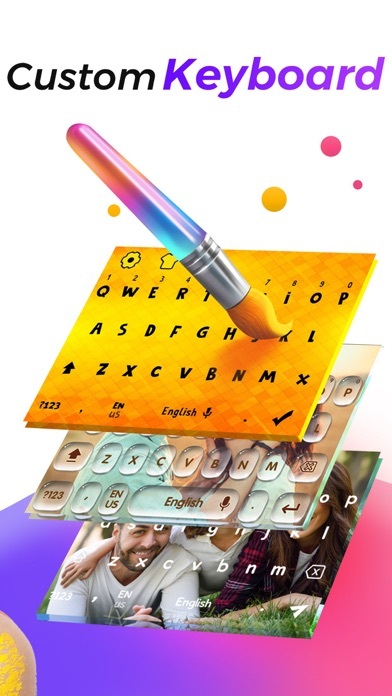 Cheetah Keyboard provides cool and colorful themes specially designed for users. Customized icon and special functional keys give you a special typing experience! It has themes of hologram, water drops, cool 3D skull, light, dark, rainbow, cute rabbits, black gold and mechanical themes, etc. All themes and skins are totally free and delicately devised. Swipe Typing feature makes typing fun and efficient. Just slide through the letters! There shows a cloud icon to the left of a predicted word for this feature. The feature offers word or phrase suggestions based on your typing habits. Just Allow Full Access and try to use it! Tap and have a long press on your space key, choose an emoji and it can be sent and shared with your friends quickly like bitmoji! Powered by AI (Artificial Intelligence) technology, Cheetah Keyboard can automatically learn your way of writing, including the words you often type, the phrases and expressions you love to use and your other input preferences. Based on these, Cheetah Keyboard helps predict the words you want to input in advance. You may just type one letter, and we can take over from there. Cheetah Keyboard provides you suggestions for word completion and next-word prediction based on the words that you have typed. Cheetah Keyboard is smart enough to recognize mistyping and provide suggestions for corrections. 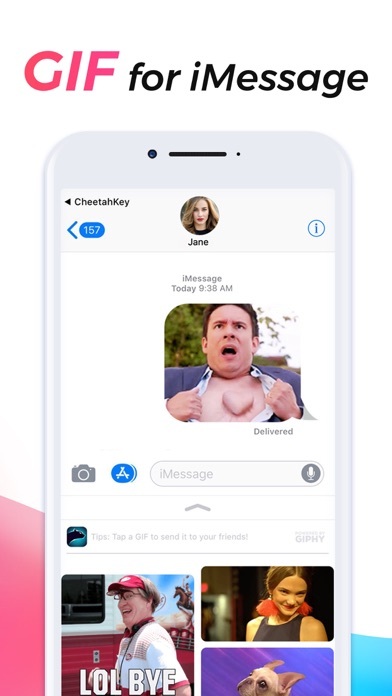 Cheetah Keyboard supported iMessage app.Send GIFs to your friends directly via iMessage app now! 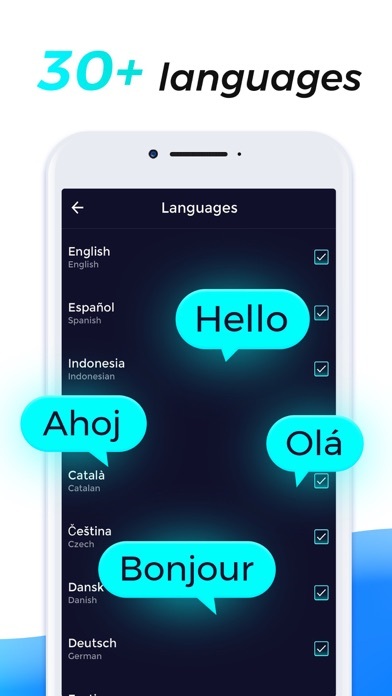 English, Español, Indonesia, Azərbaycan, Català, Čeština, Dansk, Deutsch, Eesti, Suomi, Français, Hrvatski, Magyar, Português, Melayu, Tagalog, Türkçe, Italiano, Polski, Română, Nederlands, Slovenčina, Latviešu, Norsk bokmål, Svenska, русский, Беларуская, Українська, Српски, български, Македонски, العربية. How to switch to Cheetah Keyboard if the keyboard list shows “null” after upgrading? Some users on iOS 10 may experience an issue that causes Cheetah Keyboard unavailable (giving "null" next to Cheetah in your keyboard list) after upgrading to a new version. If this happens, please remove Cheetah Keyboard from your keyboard list and then add it back. 1. Go to “Settings > General > Keyboard > Keyboards“. 4. Tap Add New Keyboard. 5. Tap Cheetah Keyboard again. Cheetah Keyboard does NOT collect any private data without your permission.